The Skinny: A more complex story makes this sequel better than its triad-glorifying predecessor. Quickie sequel to the hit Young and Dangerous focuses this time on Chicken (Jordan Chan Siu-Chun), whose old boss and hot girlfriend (Chingmy Yau) from Taiwan try to make an inroads into Macau. However, they intend to do so at the cost of Chicken’s old gang, the Hung Hing Group run by reinstated (and ever benevolent) boss Simon Yam. 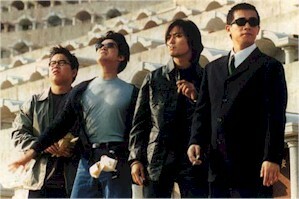 Complicating things are a rivalry between Nam (Dior Cheng) and fellow Hung Hing member and nose-picker Tai Fei (Anthony Wong), who sides with the Taiwanese against his Hung Hing brothers.